Whenever Carmelo Anthony's tenure with the Houston Rockets comes to an end, the 10-time All-Star will have to work to convince the Los Angeles Lakers to add him. Per The Athletic's Sam Amick, one source close to LeBron James said Anthony's "conditioning and the overall state of his game" will be factored in before the Lakers decide to create a roster spot for him. The Lakers currently have a full roster, so they would need to cut someone to make room for Anthony. Amick did note Anthony has "multiple options" available and is expected to decide on a destination prior to the NBA's trade deadline on Feb. 7. 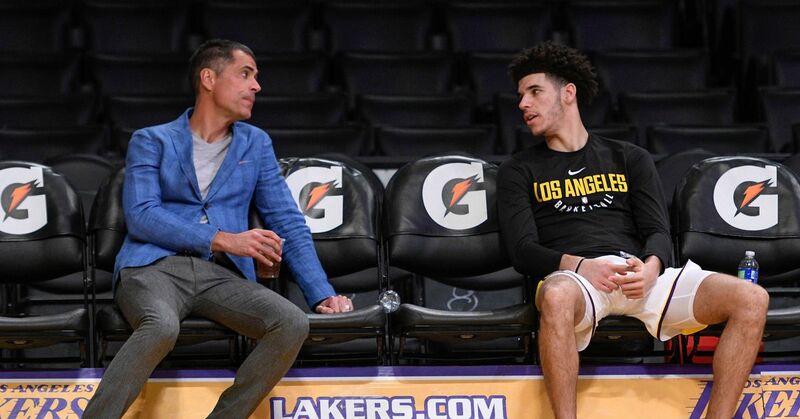 The Lakers were connected to Anthony last month when The Athletic's Joe Vardon reported James wanted the team to add his friend. Anthony is currently stuck in limbo after the Rockets announced in November he wouldn't play for them anymore. The 34-year-old remains on the roster, but his last appearance came on Nov. 8 when he scored two points in a 98-80 loss to the Oklahoma City Thunder. For the season, Anthony has averaged 13.4 points and shot 40.5 percent in 10 games.